Merry Christmas from the Coliseum! The annual Coliseum pantomime, this year Jack and the Beanstalk, is in full swing and Christmas and New Year are upon us. Christmas is the busiest time of the year for us here, with no let up for our tireless panto cast of stage management team. With two shows a day, six days a week their stamina has really been put to the test but there’s no sign of faltering smiles or a decline in their Christmas cheer. There are still some great seats left for the show but not many, panto and the festive season have gone hand in hand all across the country since the Middle Ages. Despite annual rumours of the decline of interest in pantomime there’s certainly no evidence of that at the Coliseum. The theatre annually welcomes around 35,000 people through the doors to see the panto which remains a festive family tradition for so many. As with every year the build up to Christmas and then New Year’s Eve seems to last for an age and all of a sudden it’s January once again. Even though the Coliseum is in the grips of panto-mania, thoughts are starting to turn on to next year. This January there is the Coliseum spring/summer season launch event to look forward to. On 13 January the theatre will reveal its fantastic new programme, it’s under wraps until then but it will be announced at a free to attend evening (booking necessary) with entertainment and even a free drink thrown in. Finally everyone at the Coliseum Theatre would like to wish everyone a very merry Christmas and a happy New Year. 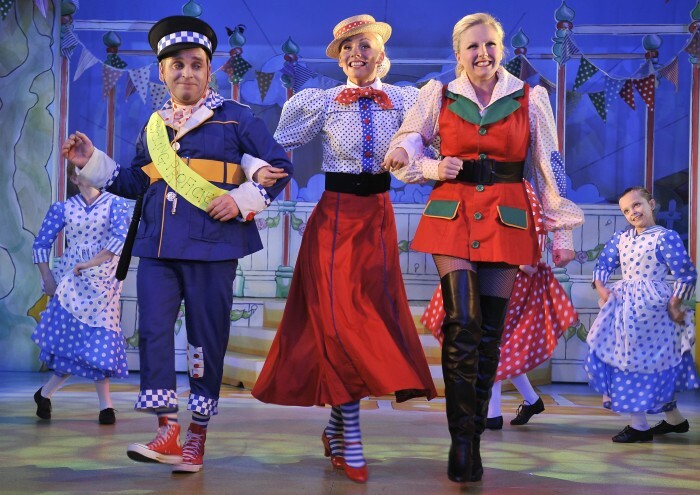 We hope to see you for our last few remaining shows of Jack and the Beanstalk and look forward to having you back at the theatre in 2014.